Ants and millipedes, spooky spiders, even cockroaches become friends after a day at the Hawaiʻi Nature Center. Their mission: to help you fall in love with the outdoors. Their method: forest hikes, stream investigations, beach explorations, or just plain digging in the dirt. Because it takes a lot to keep the forest from reclaiming the cleared spaces of nature’s classroom, volunteers are a much-appreciated resource for the center. On Oʻahu, this can mean help with vine eradication, landscaping and gardening, or restoration of the loʻi kalo (taro patch). 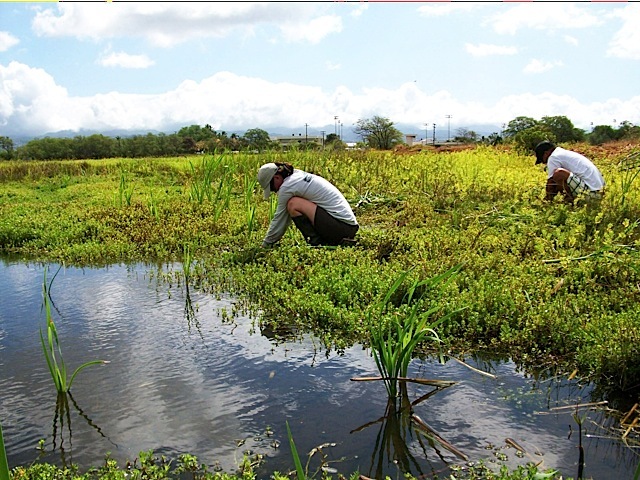 Or join their monthly Pouhala Marsh workdays, where volunteers maintain habitat areas for wetlands birds, particularly the endangered aeʻo (Hawaiian stilt). 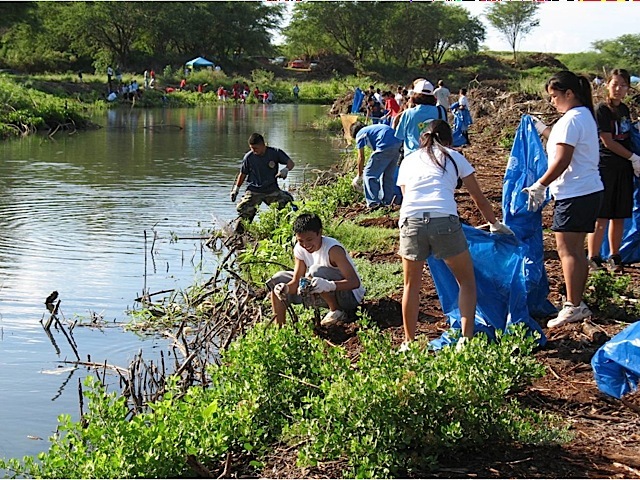 Check back weekly to see what’s happening at Hawaiʻi Nature Center this month. Or contact Volunteer Program Manager Pauline Kawamata, volunteer@hawaiinaturecenter.org.